Over the last few years, there has been an explosion in the popularity of home rentals. This is good news if you live in an area people love to visit, or if you’re considering purchasing a home in a tourist area. With some smart decisions and strategic upgrades, preparing your home to rent as a vacation property can be a great investment. 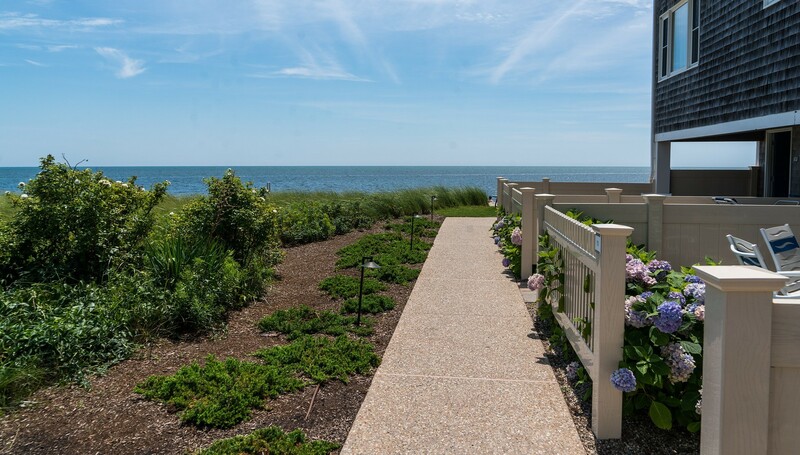 If you’re in the market for a vacation property, Cape Cod is a perfect area to own a vacation home because it has long been a popular travel destination. Rentals are in high demand here, which makes it a good investment either to purchase a new property or turn your existing home into a rental. Along with a hot rental market, there are a few other factors to consider when looking for the right location. It helps to find a home in the most desirable area your budget allows. That could be convenience to the beach, a walkable urban area, or a resort community. Many tourists want to rent a home that looks and feels upscale, and the right neighborhood or resort community can really add value. Money Inc suggests researching whether there are local tax laws or zoning ordinances that may impact whether your home can be a vacation rental. A good real estate agent can take care of these questions easily. You also want to set a realistic budget that includes not only the cost of the home but also the cost of any upgrades and maintenance. No matter how great the rental market is, you will have the most success keeping your home rented (and getting the best return on your investment) when it has features that make it stand out. ● Invest in Quality: According to The Wirecutter, renters are looking for amenities like bedding and towels that are high-end hotel quality. This doesn’t mean you have to go top of the line, but make sure that everything is of high quality and maximizes comfort. ● Know Your Market: Before decorating and deciding on the amenities you provide, it’s good to have a feel for the type of person who will be visiting. You can decide on the type of audience you cater to, like making it adults-only or family-friendly, or whether to allow pets. This way you can also have the right decor and extras, like family-friendly games, that will be of interest to your guests. ● Spruce Up Outdoor Spaces: If you’ve ever sold a home, you know that curb appeal can make a major impact on buyers. The same holds true for rental properties. Great curb appeal will attract visitors when they see pictures of your home before booking, and it helps to make a great first impression when they arrive. It’s also a good idea to think about outdoor living. A porch that’s equipped for relaxation, firepits, and pools are all outdoor living features that are in high demand. ● Keep it Well-Stocked: When it comes to the finishing touches, be sure to have extras of items that are easily broken and used frequently, such as dinnerware or glassware. Because today’s vacation renters expect hotel quality, it’s also good to provide toiletries, breakfast food, coffee and tea. Think about items that will help guests get the most out of their vacation too. Guests will really be wowed if you provide extras for outdoor fun, like bikes to explore the area and beach supplies in the form of towels and a cooler. For more ideas, think about the features and amenities that you would love if you were renting the home. It’s important to stick to your budget, but making strategic upgrades and investing in amenities will pay off. Making your home stand out from the crowd is the way to get amazing customer satisfaction, which translates into consistent rental income.